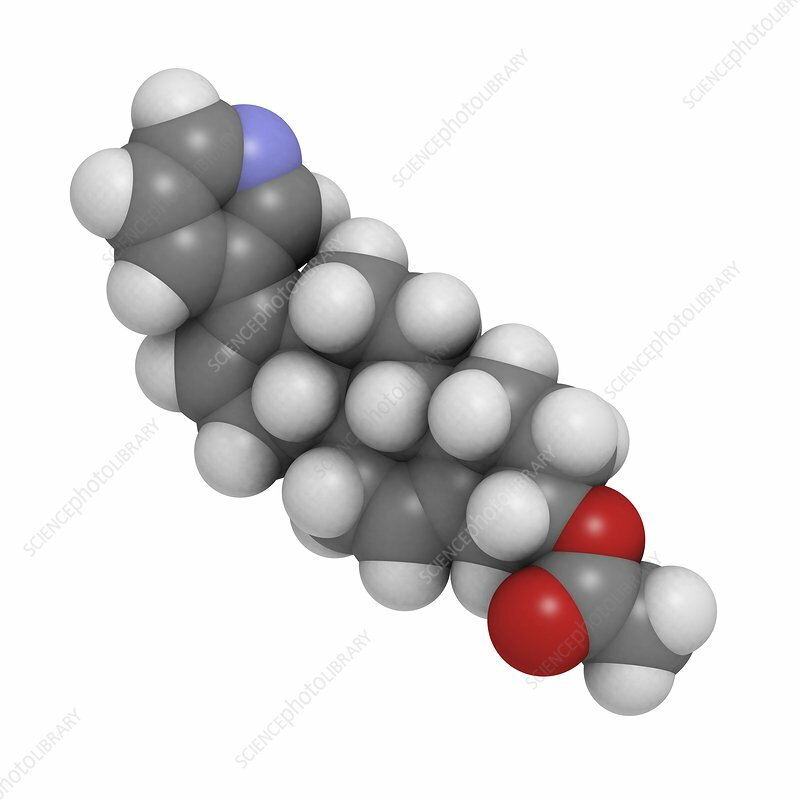 Abiraterone prostate cancer drug, molecular model. Abiraterone blocks the production of testosterone by inhibiting an enzyme involved in its formation. This leads to the death of the cancerous cells. Atoms are represented as spheres and are colour-coded: hydrogen (white), carbon (grey), oxygen (red) and nitrogen (blue).